It is a long-standing JBC tradition to give back during the holiday season and this year was no exception. As a company, we were feeling especially grateful and decided to add additional charities to our contribution list. JBC has an annual food drive that coincides with the company’s annual holiday party. Everyone that attends, brings nonperishable foods for donation. This year we donated to the Eastern Outreach Food Pantry, a food pantry local to our Towson office. JBC also donated to two separate toy drives. We gifted unopened toys, contributed by our staff members, to the GBMC Kindertime Toy Drive. 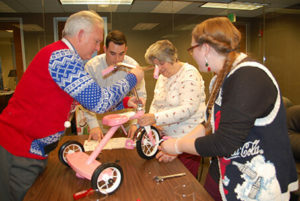 Additionally, our annual team competition contributed tricycles to the Salvation Army Toys for Tots. 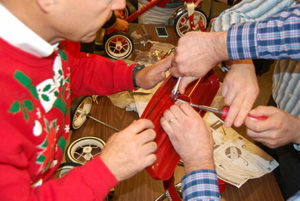 Three teams of office staff members were developed to assemble Radio Flyer Tricycles in a race against the clock. 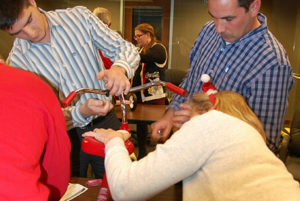 It was a fun team building activity, complete with some friendly competition and a charitable tone. All of us at JBC are fortunate to be able to feel blessed each holiday season. We feel that it’s our responsibility to help other families in our community enjoy their holidays as well.